First, you will use your cookie cutters to trace your shape onto the foam and then cut out. If you do not own mermaid and starfish shaped cookie cutters you can always free hand on the foam or find a print out online that you like and want to mimic the same. 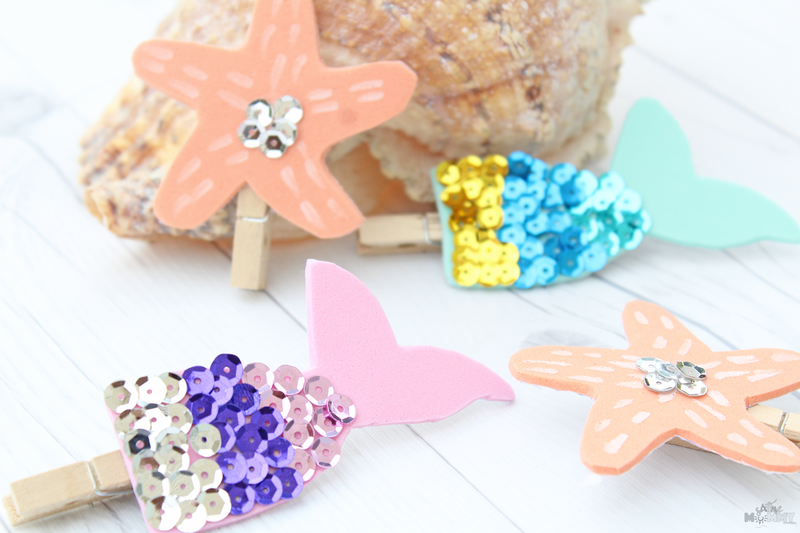 Have your mermaid tail fin pointing upwards as shown in the picture so you can see how to lay your sequins. 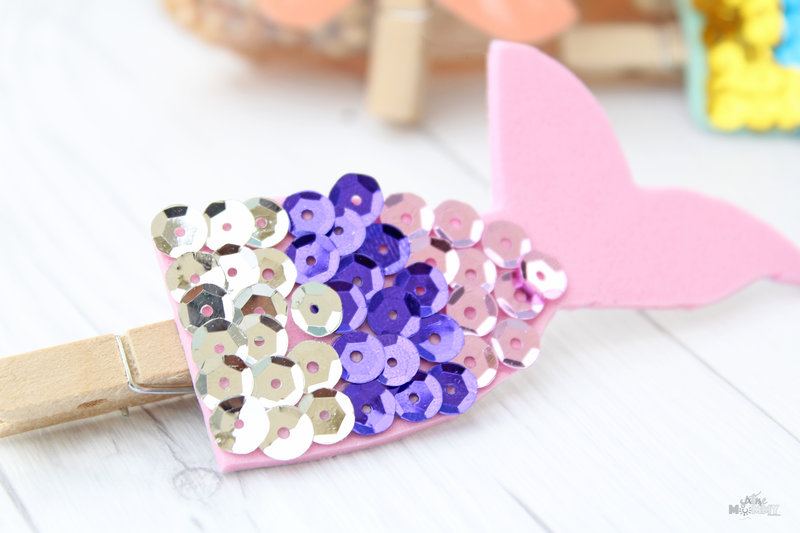 Using your clear glue start at the bottom of the tail fin spread it thinly and add your sequins. I placed newspaper underneath so that the clear glue and hot glue didn’t get anywhere to make a sticky mess. I used three colors on each tail to just make it colorful and appear more scale-like. Let it dry completely before hot gluing to your clothespin. This will ensure no sequins fall off while trying to dry. 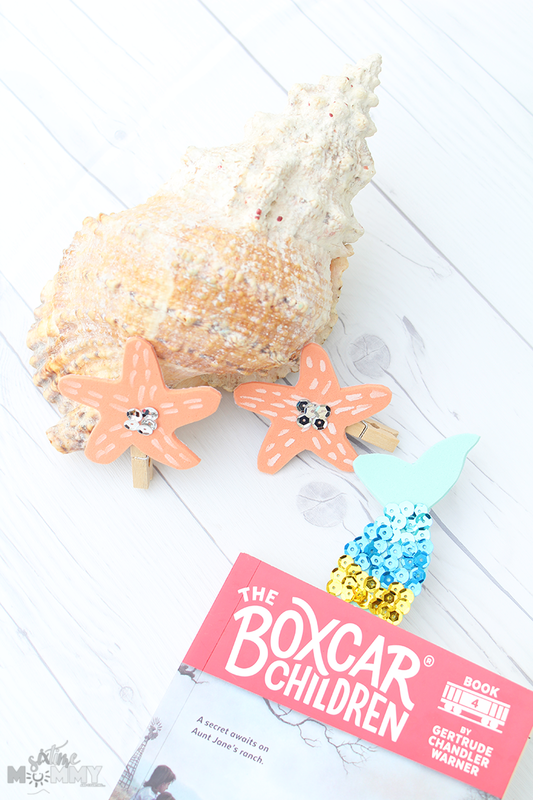 Next, for your starfish cut out – use your chalk marker to add details to the starfish. 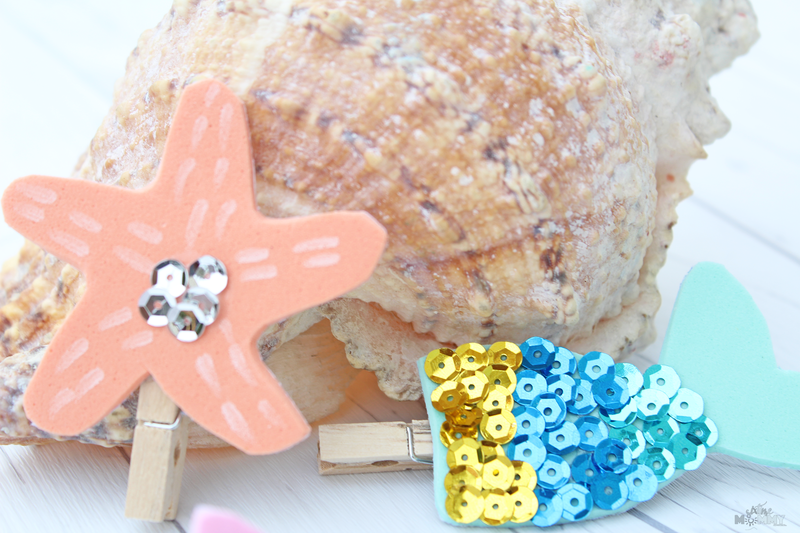 Using your clear glue you can add sequins to the middle of the starfish so that it flows with the sequin theme of your mermaid tails! 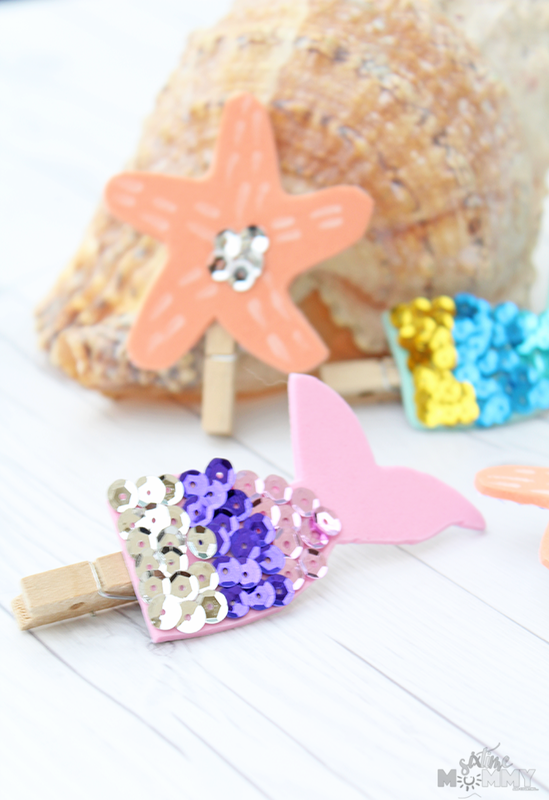 Once the chalk markings and sequins have completely dried you can hot glue the starfish to your clothespin. 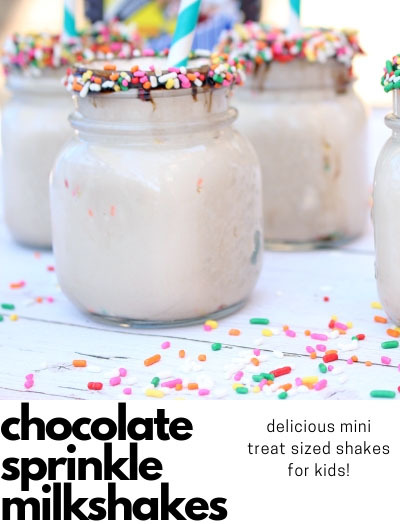 Super cute, and super easy. 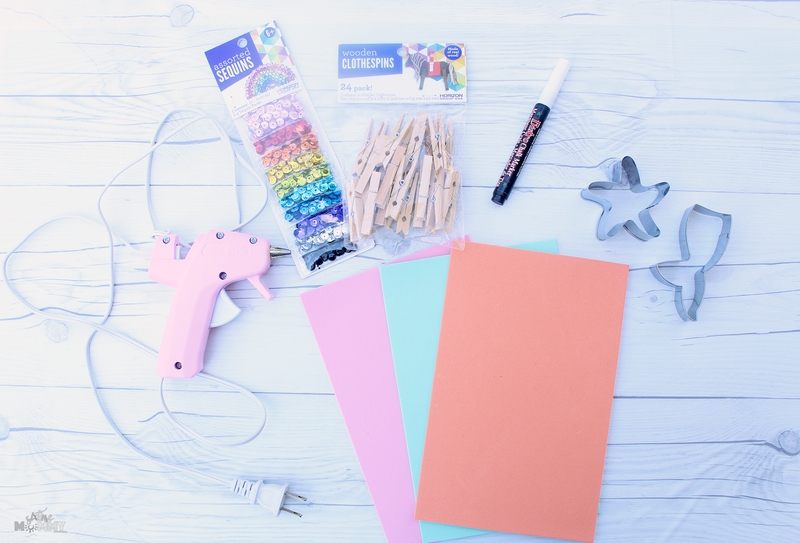 With back-to-school coming up quicker than we’d like to think – this is a perfect DIY the kids can do on a boring afternoon and will get great use out of them! 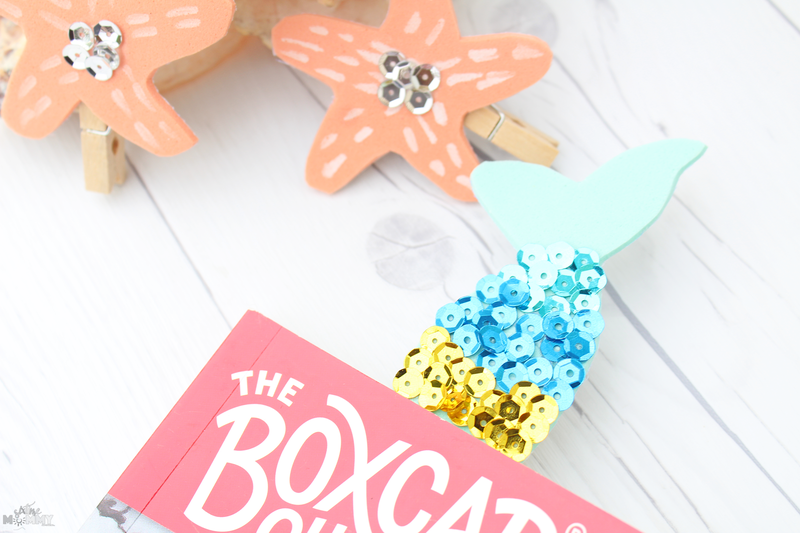 If your kids are like mine and enjoy reading, they can make as many as they want and use them for school too – My girls love using bookmarks in their binders and even school workbooks! They also make a great little welcome back to school gifts for their friends! 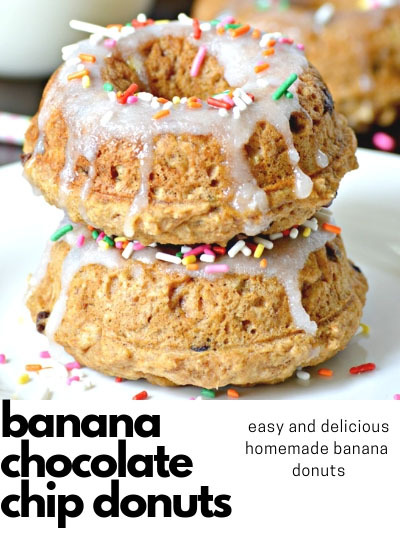 Make a day of it, create a bunch and have the kids hand them out to their friends when they head back to school! What do you think? Super cute, right?